All the websites for law firms probably seem to blend together because they are all trying to tell you the same thing, that they are experienced lawyers who have had great results in a couple of cases. Well, the fact that you are looking on the Internet in Augusta County or Waynesboro for car accident and personal injury lawyer means you probably need help in figuring out what to do and how to handle your injury case. At Wilson & Hajek, we try to make your life easier by handling all aspects of your serious personal injury case, including medical payments and coverage questions. Insurance companies are not in the business of giving away money. We know that and will do our best to level the playing field. Most importantly, as your car accident lawyer, we promise that you will always be able to talk to your lawyer one-on-one and you can find out what is really going on with your case at the law firm of Wilson & Hajek. You will not be farmed out to a paralegal or case handler every time you call. To find out more about your personal injury case and how we can help you, call us or send us an e-mail. Your lawyer will get right back to you. 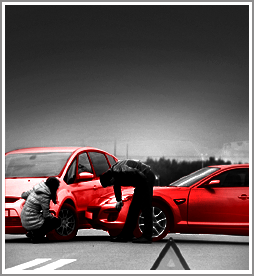 Contact the experienced car accident and personal injury lawyers at Wilson & Hajek.